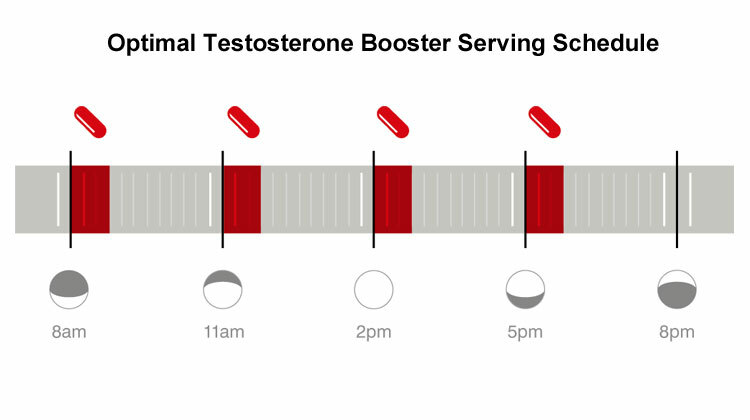 A test booster is designed to help your body reach optimal levels of testosterone. These levels naturally start to fall from the age of 30 but this hormone is essential for your libido, muscle strength, bone density and overall health. 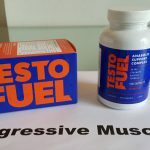 It’s therefore very beneficial for your health and peak performance to take a testosterone booster. Many of you have been asking what is the best serving schedule? The answer is straightforward. 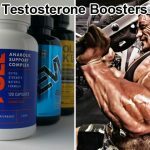 You need to be taking your T boosting supplement 4 times a day to get the maximum benefit. Your body is a surprisingly well calibrated machine. Everything you consume is passed through the intestine where the muscles contract. This squeezes your food to break it up and allow your body to absorb the nutrients present. These pass through the side walls of your intestines and into your blood stream. They are then delivered to the appropriate point in your body. 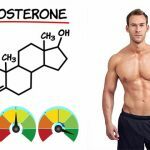 In the case of a testosterone booster these ingredients will stimulate the production of testosterone by telling the pituitary gland to produce more of the Luteinizing Hormone. This travels to the testes and tells them to produce more testosterone. 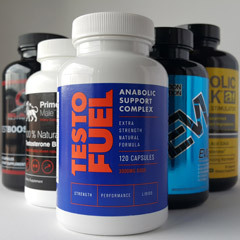 Other ingredients in the booster help to ensure your body has all the necessary components to produce testosterone. 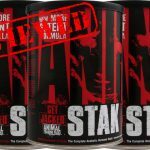 Essentially given extra support to your body’s natural T production. 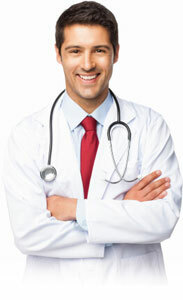 You can find more detailed information in the article how do testosterone boosters work. 4 evenly spaced servings throughout the day maximizes effectiveness & gives better results. It is important to understand the absorption rate of supplements in your body. Different compounds are absorbed at different rates; it doesn’t matter if they are in liquid form, as food or even in a capsule. The USP requires a tablet to be completely dissolved within 45 minutes. It can then take a further 2 hours for the ingredients to be fully absorbed into your body and available for use. The supplements are then used as required; this means that they are likely to be consumed by your body within a further 3-4 hours. At best the ingredients are available for use by your body for 6 hours. As there are 24 hours in a day you’ll need to take a supplement approximately every 6 hours to ensure it has a sustained effect on your metabolism. Of course in practice this would interfere with your sleep which is why the best T boosters spread the 4 doses out through your waking hours. Having just 1 or 2 doses a day will not be sufficient to maintain testosterone boosting capabilities in your body. By providing your body with nutrients around the clock you are keeping your testosterone levels elevated for a longer period of time. 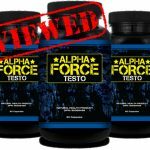 This gives your maximum benefit when it comes to building muscle, peak performance and your health. 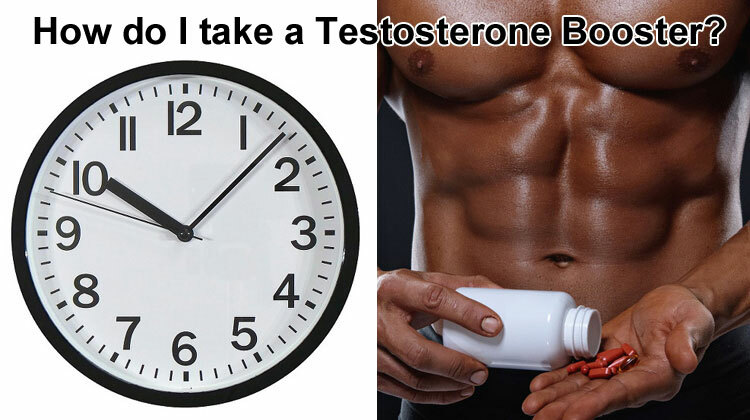 The only way to take your testosterone booster is by following the directions on the bottle. If you choose to split the doses or take additional ones you cannot be sure of what unknown effects it will have on your body. Just remember that those designed to be taken 3 – 4 times a day are more effective than those designed to be delivered once or twice per day. However, while most T boosters are natural and perfectly safe it is always worth taking a low dose, such as just one or two pills at first. This will ensure you do not have any issues with the ingredients. You can then upgrade to the full dose and enjoy the benefits of increased testosterone in your body. 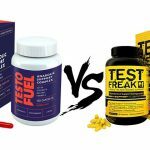 Whether you’re looking to improve your health or build more muscle, increasing your T levels naturally is certainly a good thing.